If you follow my blog regularly, you’ll know that, whilst almost all gardens capture my imagination, the ones that I am most likely to fall head over heels in love with are those with plenty of colour, some informality, spontaneity and generally quite a natural feel to them. 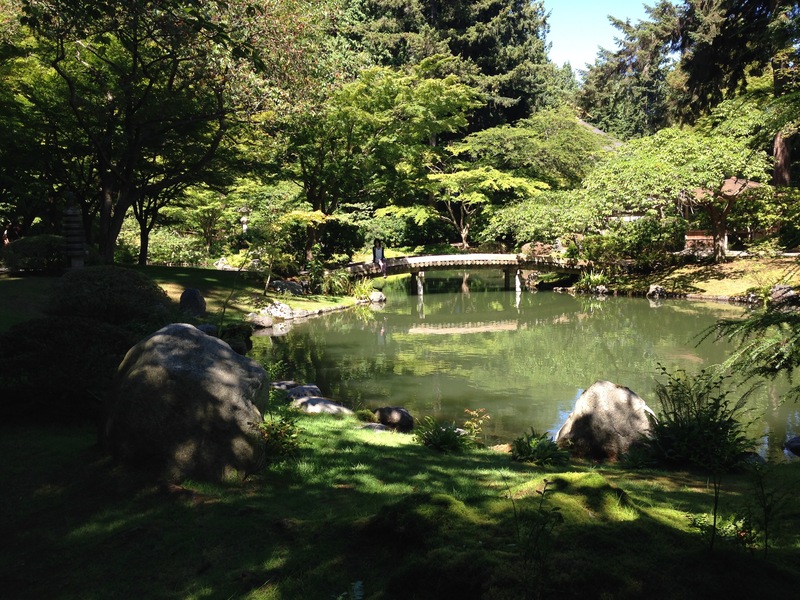 So when Paul said he wanted to visit the Nitobe garden in Vancouver, it posed quite a dilemma. Surely, I shouldn’t be discouraging a genuine desire from him to garden-visit, but on the other hand, with rationed ‘garden-visit tokens’, did I really want to waste one on a Japanese-style garden, in Canada? Remembering (fortunately, before needing to be reminded) that this was actually Paul’s holiday too, off we trotted to Nitobe. 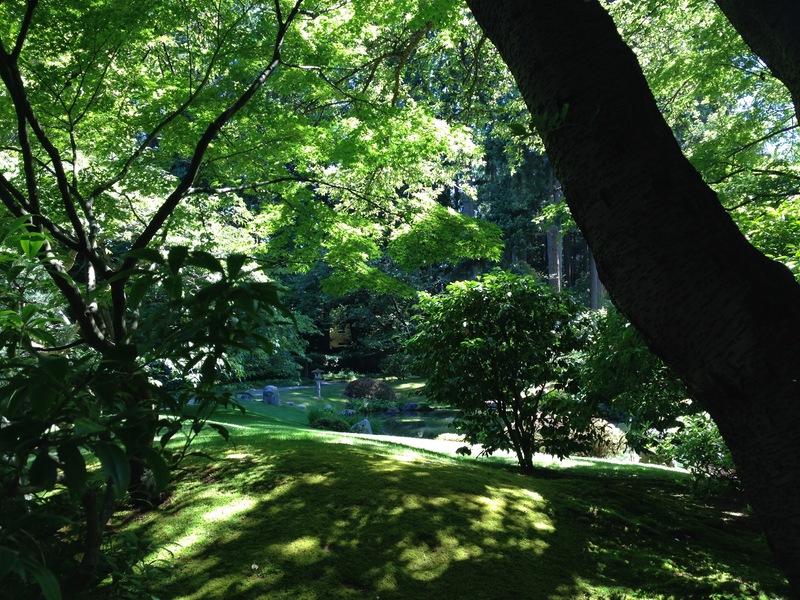 Nitobe was pretty much entirely monochrome, completely contrived, very static and manicured down to the very last leaf. So why on earth did I love this garden? The fascinating thing, was how strongly this garden affected my emotions and sense of well being. There is now an exceeding well used, fast track neural link in my brain between certain visual aesthetics and peaceful, happy feelings (and I’d highly recommend more practice if those links haven’t quite been strengthened enough yet!). But this garden wasn’t about those visual aesthetics. In fact, it was almost diametrically opposed to them. And yet it had me firmly and squarely resided in that very contented place in my head. I realised that from the second I had walked through the entrance, time had slowed right down for me. And as I continued along the path, it was almost as though time had stopped. Something about the static planting added a dimension of stability and comfort, a reassuring permanence. 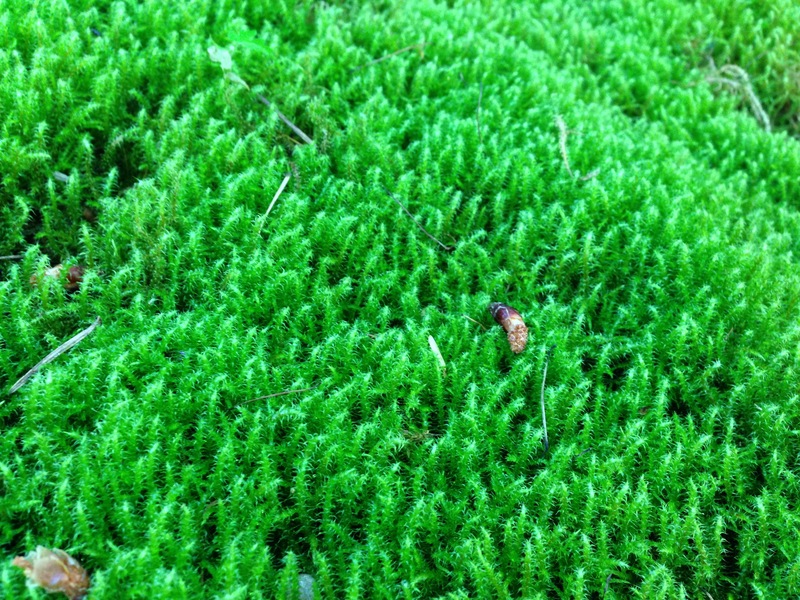 The solid moss carpet that didn’t need continual mowing; just sitting, quite contently, doing it’s own thing. Exuberance and seasonal growth–the cycle of plant life and decay–energise me so much and make me feel very alive; but in their absence, this garden invigorated me with its calmness. There was no panic to be the fastest, tallest plant at spring burst, aiming to grab hold of as much light as possible, at the expense of any other plant in sight. There was no-all-or-nothing altitude, of desperately needing to get foliage out and sugars produced and flowers opened before the cold sets in again. Every plant seemed so restful, so at ease, just chilaxing in its space! And it made every visitor to the garden ‘chilax’ too. The young, the old, everyone trod slowly and softly, whispered in hushed tones (if at all) and sat for long periods in quiet contemplation. At first, I noticed how serene it looked; nothing jarring, nothing attention grabbing, total harmony in every direction. But as I looked more closely, I saw so many more layers. 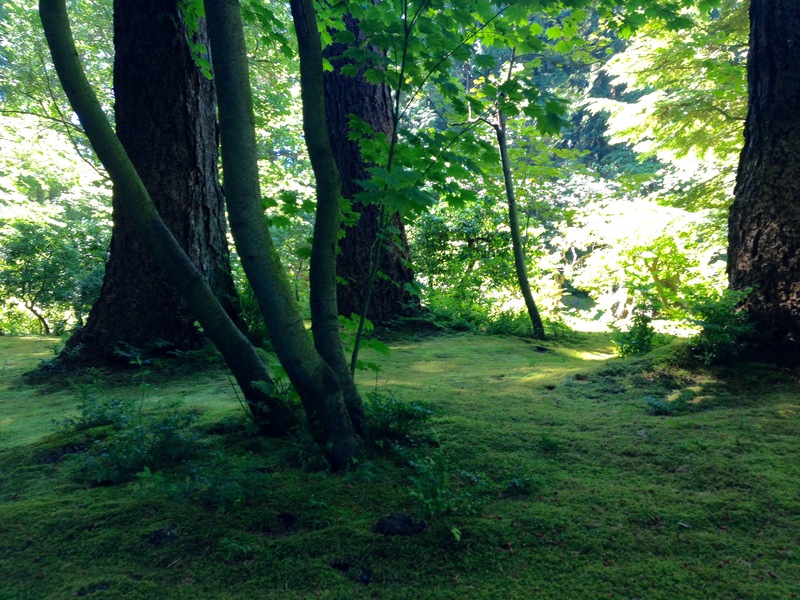 I noticed the play of light on the trees, the noticed the textures in the moss, the ferns and the maple leaves. I noticed the horizontal layers formed by delicate branches spilling over the lake; the surface inhabited by the movement of water skaters and beneath, the dark depths of water with meandering carp. Just enough movement to bring life to the garden; plenty of stillness to bring calm. In a similar way, balance was achieved in the composition of planting and voids. 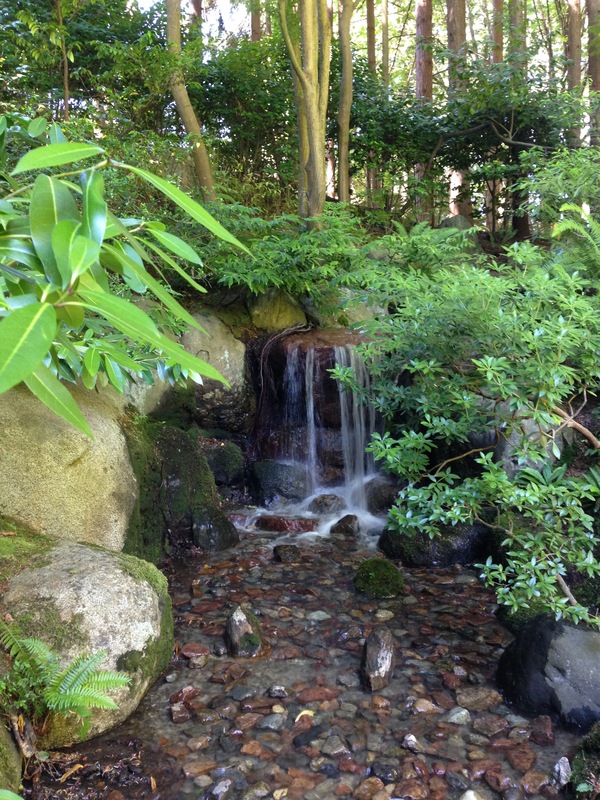 This was just one of many aspects that put this garden streets ahead of the Japanese plantings at the Butchart Gardens. Serenity requires restful pockets; empty spaces to clear the mind. I felt quite sad when it was time to move on. Despite being able to see almost all of the garden from the entrance, it would take days (possibly months/years) to experience it all. It reminded me of a quote from ‘The Garden of Evening Mists’; ‘after you experience tranquility in a garden and then [come round] you experience a sense of loss’. This was exactly as I felt leaving Nitobe. I asked Paul what he made of it. He appreciated the great precision and refined nature of the garden and he (not a big one for emotions) volunteered that it made him feel relaxed, peaceful and calm. So where did it leave me? 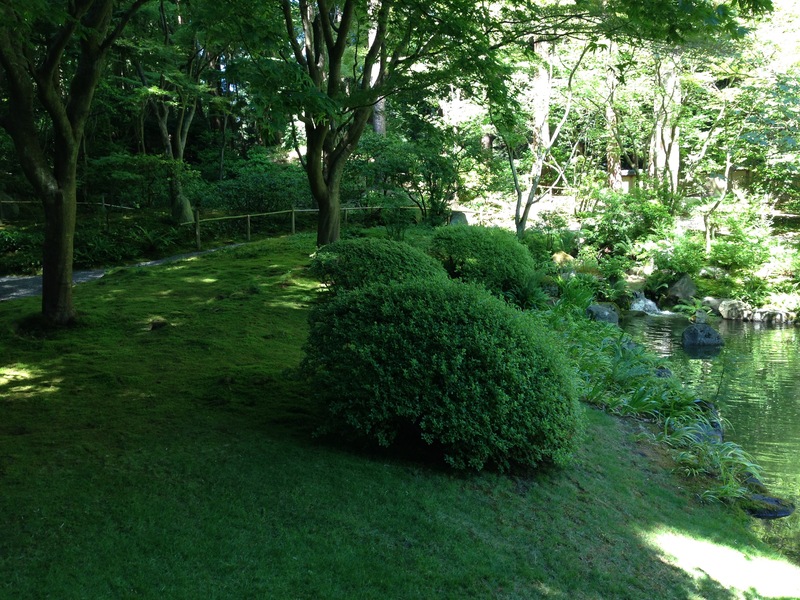 Am I tempted to create a Japanese garden for myself? Unless by any remote chance I find myself living in Japan one day, I’m pretty sure I’ll never use this style at home. But what I will do, without question, is take away a few additional gems of Japanese garden design, allowing these ideas to influence my thinking and bring serenity to an alternative garden type. And there are two important messages that have been reinforced in my mind. The first, which I’ve thought about for some time, is not to garden beyond your means. 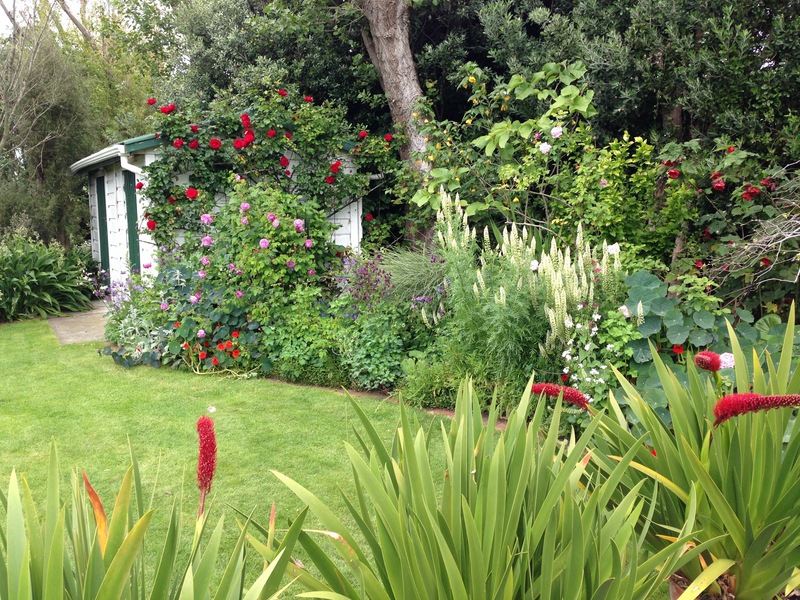 A small, but beautifully kept garden is so much more appealing than a sprawling, gappy, neglected space. 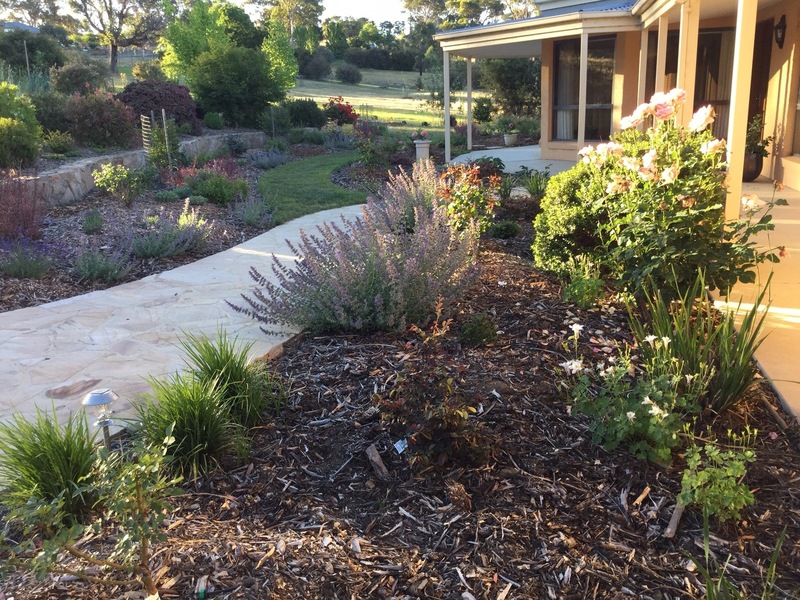 Cultivate only the area you can manage and convert any remaining space to wilder, almost no-maintenance areas. Girl in contemplation, in the shade of an overhanging tree, on the bridge at Nitobe; I couldn’t have staged this more perfectly! The second, not unrelated message, is to do what you do, well. 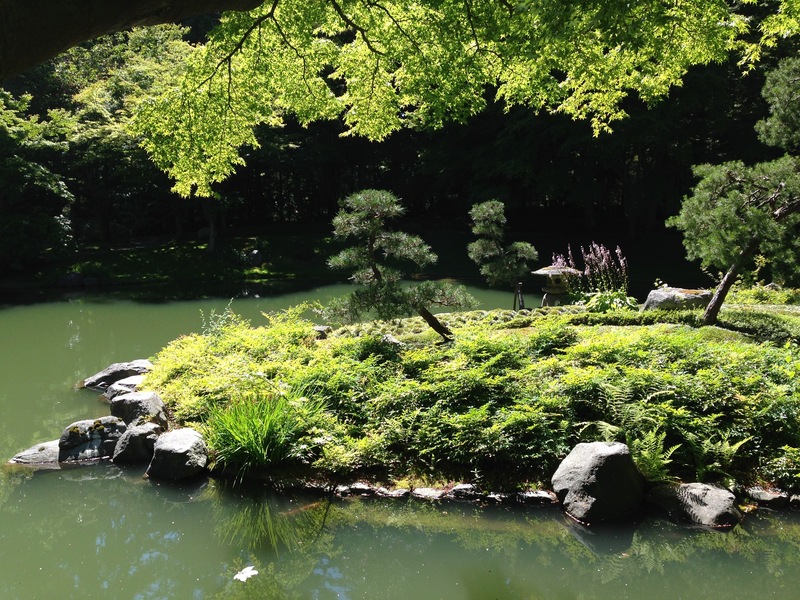 Japanese garden design is an art form, developed over hundreds of years. The placement of every last lantern thought through to the precise, optimal centimetre; the craftsmanship of the bridges shown in the softly edged curves of the wood. If you apply yourself and put effort and love into something, it almost always results in a thing of beauty. Even graffiti, which I loathe, can exceptionally be beautiful if it is the act of skilled, dedicated passion, rather than, as I sense is generally the case, more of anger (although my sense of propriety does demand legal artwork!). Whatever you do, put your heart and soul into it. Set yourself up to make it easy to do well, however small a scale that dictates. Don’t wish for more, unless you have the time and resources for more. Small, managable and loved is definitely the way forward for most of us. 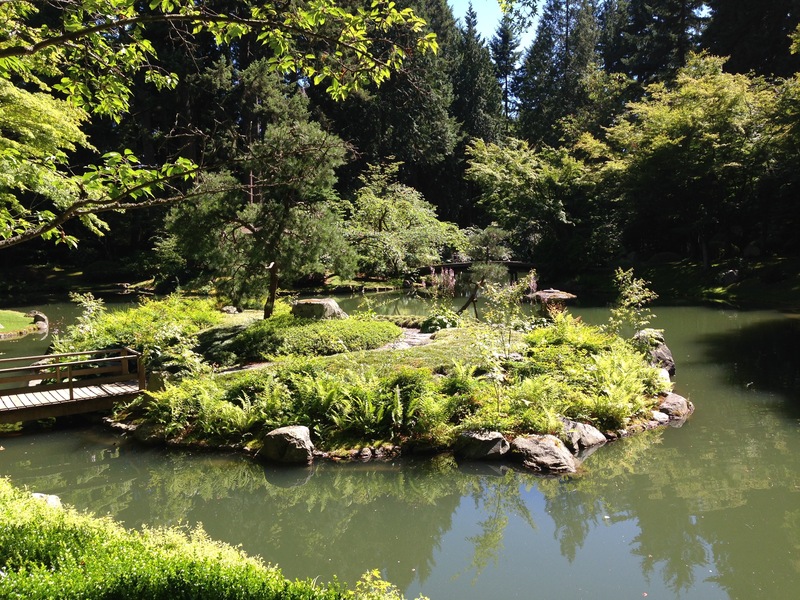 And remember, as the Nitobe Memorial Garden guide states, a ‘garden is not only a place of beauty, but a place where the soul can find nourishment‘. 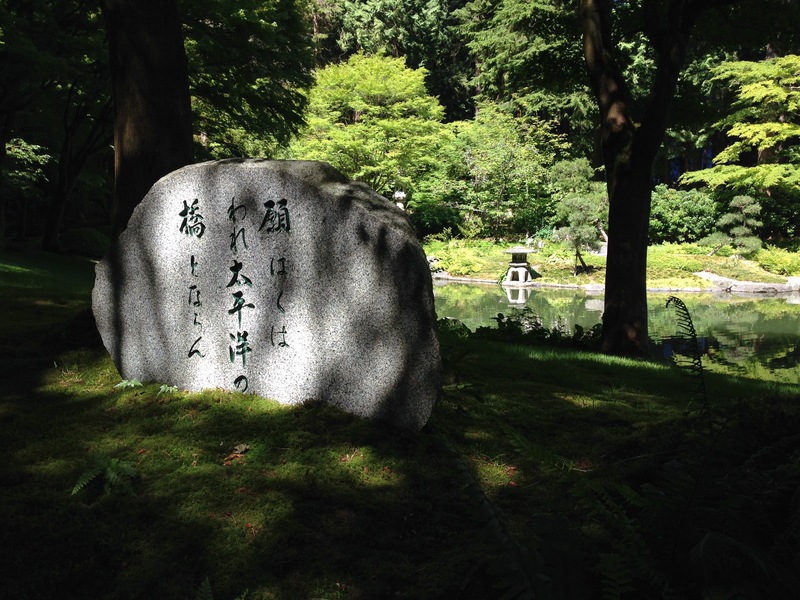 PS I wrote a post for GardenDrum last week asking ‘which gardens make your heart sing?’, which included a bit about Nitobe. Click here if you’d like to see it. I felt more serene just reading this! I think the contrasts of light/shade and textures is a useful object lesson too. Great post, thank you, Janna. Oo, I like the idea of you relaxing into those photos! We were there in the middle of the day but the you can still see the play on light, despite some very big shadows. Thanks, Kate. 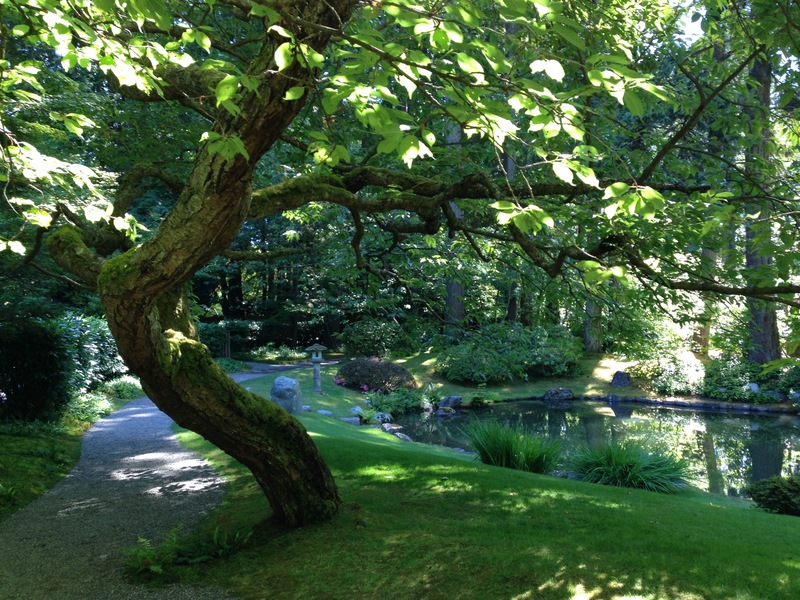 This garden exudes serenity and calm – which I think is the intent of Japanese gardens. I like you love flowers but could live with this too. Your wise words on building the garden you can manage resonates Janna. In the past I was much influenced by Edna Walling’s philosophy of always having a garden that was just a bit too big to manage – exciting new seedling plants even new varieties and ‘garden pictures’ can then, potentially, occur naturally (because we are not constantly controlling and weeding). Very romantic. Now as I age I can see the absolute common sense in what you say! I also like the idea of letting things seed themselves but perhaps this can still be done in a smaller, more managed garden; you’d just need to get very good at early detection of which ‘weeds’ were which! I’m not one for overly controlling a garden (although that’s a pretty subjective statement) but I’m a big advocate of being able to keep your garden more or less how you like it, 90% of the time. Otherwise it’s in danger of becoming another thing on the to do list, adding stress to our lives rather than pleasure. I’ve never had a huge garden though, so I bow to your experience on this! One of the key things that makes or breaks a garden for me is whether it looks full and generous or bare and unloved. I don’t mind seasonal or newly planted out soil showing but in an established, summer garden I think bare earth is the saddest look. Do you think, though that the same sensation and response would be repeated on a subsequent visit? Or can one never recapture that moment of (quietly) delighted exploration of something new? Gosh, you do make me think, Catherine! And my conclusion is that it depends on personality type. Personally, I am a new-a-holic. I am energised by change. But others are energised by familiarity; new things exhaust them. So I think, for me, I wouldn’t be able to replicate that same sensation of pure delight, but I would be able to recreate the feelings of serenity, peace and calmness. Visually, I would get bored, but emotionally, that state of mind is something that would appeal to me forever. Agree? Disagree? Maybe that’s the true test of the garden – to divorce its splendour from novelty? Maybe if you don’t want to go back, it’s a one-off emotional ‘flash’ and more like an incredible sunset than a truly great garden? Can’t disagree with any of that Janna, especially your two final pieces of advice. I have to remind myself constantly that it’s better to do a good job in a small space than have a rambling plot with lots of sad, neglected areas. I love Japanese gardens and admire the skill and discipline they embody, but would never have the self control to create one. Great post – a good read. Thanks, Dan. No self control over here either. 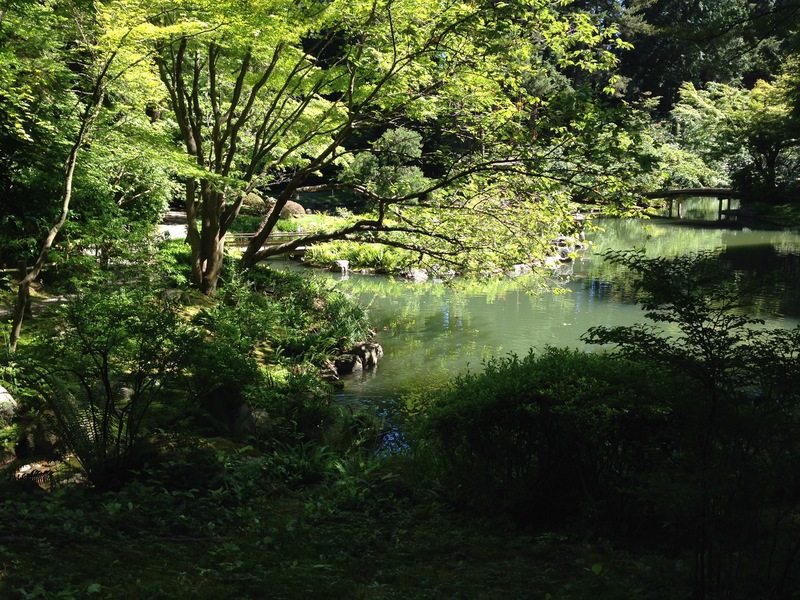 I think Japanese gardens are definitely for the ‘western plantsman’ to admire, rather than create!